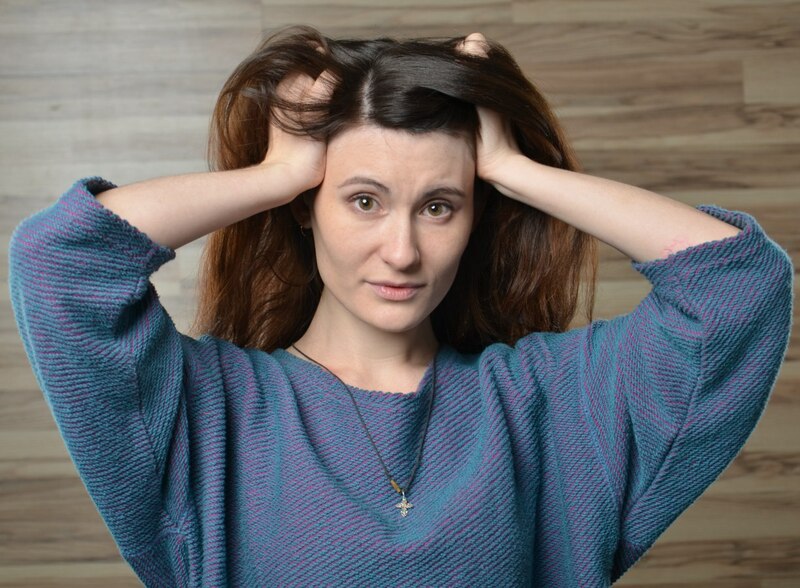 This is probably the most common (and most misidentified) scalp problem out there. Dandruff is known medically as pityriasis and characterized by large flakes of dead skin cells either on the scalp or in the hair, and is commonly seen having fallen to the shoulders of the individual. Often, a person with dandruff may misinterpret the condition as dry scalp, and vice versa. The difference is that dry scalp may result inflakes of skin cells, but dandruff flakes are larger, often greasy or oily and are often accompanied by redness, itchiness, and irritation of the scalp. Dandruff is believed to be the result of an infection, and a good indication that you are suffering with dandruff is that these greasy, oily flakes are accompanied by an odor. Since it is an infection, it follows that dandruff is contagious. You should never share your hair care utensils (combs, brushes, etc.) without properly disinfecting and sanitizing them both before and after use. Also, make sure to rinse all shampoo and conditioner products thoroughly from the hair when you use them. Improper rinsing during the shampoo process will only exacerbate the problem of dandruff. Most mildcases of dandruff can be treated using over-the-counter medicated shampoos and conditioners, as well as antiseptic lotions for the scalp. However, in serious cases, where there is excessive redness, itchiness, or bleeding or oozing of sebum caused by scratching, you must see your physician. Left untreated, dandruff can lead to hair loss. Dry scalp is another common issue that many people face, especially in winter or in colder climates where you are moving in and out of heated areas frequently. 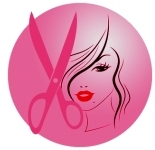 The skin of the scalp becomes tight and itchy and tiny flakes of dead skin are showered by combing and brushing. Dry scalp conditions are often misidentified as dandruff, and are treated as such, which can worsen the condition depending on the treatments used. Fortunately, there are many products on the market today that are formulated to treat both mild dandruff and dry scalp equally well, and will allow you to feel sure of handling this sometimes confusing problem. Common methods to treat dry scalp can include the application of deep conditioning treatments, moisturizers and lotions for the scalp, scalp massage (to stimulate circulation), application of a scalp steamer (or wrapping the head with warm moist towels) and application of direct high-frequency current in a salon. 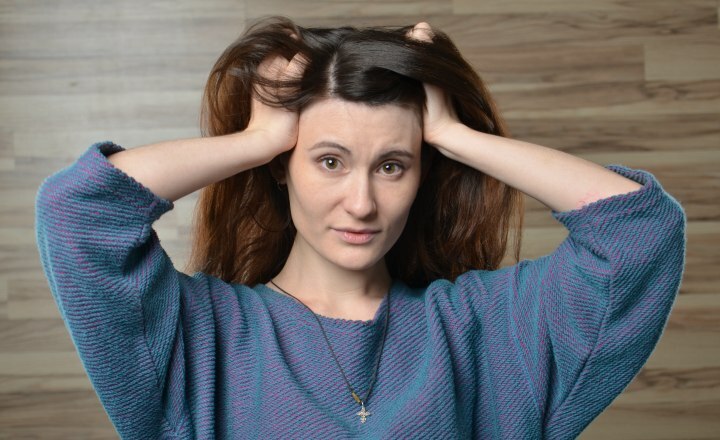 Probably the most talked-about of scalp problems, oily scalp conditions are often hard to deal with, particularly when the individual has long hair. Most of the astringent and oil-reducing preparations available can result in over-drying the ends of the hair when used incorrectly. A common complaint of individuals with oily scalp is "when I shampoo every day to prevent my oily scalp, my hair gets so dry", but if I use conditioner, the hair at my scalp looks oily within hours. Often, the problem of oily scalp vs. dry hair can be resolved with a little bit of adjustment in the treatment routine. First of all, there's no rule that says you have to work your shampoo completely through your hair. Try applying and massaging the shampoo only at the scalp, and apply your conditioner only on the ends of your hair. In addition, the scalp astringents and oil removing tonics available for oily scalp are designed only to be applied to the scalp area. If you apply so much that it runs down into the rest of your hair, you're obviously going to strip the oils from the hair as well. Always use a cotton puff or pad to apply these products. Another good method for dealing with oily scalp is thorough brushing and scalp massage. Not only does this increase circulation to the scalp, but has the added benefit of regulating the sebum production and redistributing the oils along the hair shaft, where it was intended to go in the first place. Finally, when shampooing and conditioning the hair, switch from warm water to cool water after you've thoroughly rinsed away the product. The cool water rinse will help close the pores of the scalp and slow down the oil production. Since the scalp is skin, it follows that you can get breakout even there. Acne breakouts on the scalp can be annoying, but are easily treated the same way you would treat any other breakout. You can use a skin cleanser containing salicylic acid on a cotton ball and apply it only on the breakout area. Most of these cleansers are verystripping and will dry the hair out completely, so keep to the target area and rinse the cleanser thoroughly. As an option, and since many people with acne breakouts on the scalp also have oily scalp conditions, you can use your oily scalp shampoo and follow up with an astringent or acne treatment containing salicylic acid applied directly on the blemish area with a cotton ball or pad. It is important to remember that you don't want to use those acne products containing benzoil peroxide or other peroxide ingredients on the scalp because of the potential for altering the hair color. This is doubly important if you have color-treated or chemically-textured hair which is already more porous than virgin (untreated) hair.